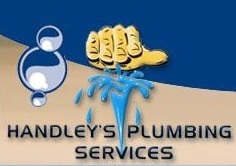 This section is for our customers or anybody who has had contact with Handley’s Plumbing to leave a comment. I would not hesitate to recommend Trent. Initially I thought i needed pipes under the 58 year old house replaced What I needed was a new bathroom. I was impressed by the the trades men that worked with Trent .Very professional and trustworthy- which means a lot given that I am on my own. I phoned Trent a number of times during the reno and was impressed that in spite of being super busy he always took time to answer my questions He also worked to the budget we had agreed upon. The bathroom is now my favourite room in the house. Give Trent a call today, he’ll turn up, give you a quote, do the job and clean up. Which is exactly what you expect, but is rarely delivered. He did all my plumbing and gas for a full kitchen renovation and would certainly use him again and recommend him. And all at reasonable price.